Following the appointment of the Ven Ruth Worsley to be Bishop of Taunton, the Bishop of Salisbury is delighted to announce that the Revd Canon Sue Groom is to be the new Archdeacon of Wilts. 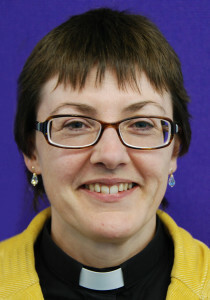 Currently completing a DThM (Doctor of Theology and Ministry) with Durham University, she will leave her two posts, as a parish priest in Henlow and Langford and as Diocesan Director of Ordinands in the diocese of St Albans, early next year. Speaking about her new role, she said: “I am excited to be taking up this post with its emphasis on developing parish ministry in a diocese which has happy associations for me through my previous involvement with the Southern Theological Education and Training Scheme (STETS). Canon Sue has ministered in St Albans Diocese since 2009 as both parish priest and initially, Assistant Director of Ordinands, becoming Leader of the Vocations Team in 2011. Before that, she served in various roles in London Diocese, becoming Vicar of Yiewsley in 2003 and later taking on additional responsibility for locally licensed clergy within small groups of parishes in the Kensington Area. As part of that role, she was also a theological teacher for STETS, based in Salisbury. Her passion is to develop people and help them use their gifts in the service of the church. It was this aspect of the Archdeacon of Wilts’ role that particularly drew her to apply for the post. The Bishop of Salisbury, the Rt Revd Nicholas Holtam, said: “It’s great to have Sue coming to serve in this Diocese as Archdeacon of Wilts. She responded strongly to our Renewing Hope agenda. She brings a wealth of experience and is a lively, intelligent and practical Christian who will add a great deal to the Diocese. Born in Wokingham in 1963, Canon Sue was brought up in Cheltenham. She was prompted to seek ordination after she received encouragement from many people when the ordination of women priests began in 1994 and was in the public eye. She trained for the ministry at St John’s College, Nottingham from 1994-1996. The Archdeacon-designate holds a number of qualifications which support her role as a preacher, theological teacher and enabler and developer of people’s talents. She has a degree in linguistics; an MPhil in Computer Speech and Language Processing; a Postgraduate Certificate in Adult Education; a DipHE in Christian Life and Ministry; an MA in Aspects of Biblical Interpretation; and an MPhil for ‘Sources for the Investigation of Meaning in the Hebrew Bible’. Archdeacons carry out their duties under the direction of the Diocesan Bishop and are key members of his staff. They ensure that organisational aspects and processes of the Diocese affect parishes positively and effectively, as well as serving and reflecting Gospel imperatives. They are called, with the Bishop, to take a lead in mission, helping facilitate and stimulate growth through shaping the culture and direction of the Diocese, developing resources and offering support as required. Priestly, pastoral and teaching duties continue to be essential to an Archdeacon’s ministry, and have a particular role in the practical application and outworking of Diocesan policies. In addition to their statutory responsibilities, the Diocesan Bishop expects Archdeacons to take responsibility for various Diocesan portfolios; especially those that help develop parish growth.